Leave the boring bro-split to the newbies. Hit new levels of swoleness with PPL split training. Unless you’ve been living under a rock you’ve undoubtedly heard of PPL splits. They’re one of the go-to methods for taking bodies to the next level for pros and amateurs alike. Once we break past the beginner phase of fast-gains, and things start to slow down, we need to get smart. Our body has become much better adapted to training and simply won’t react to just any kind of stimulus. That means reassessing our overall approach to tearing micro-fibers, maximizing efficiency, and pulling in the results. Forget your outdated and average bro-split. It might have got you this far, but we’re stepping up your entire game. Enter the PPL split, a super effective way to build both strength and hypertrophy. So throw that sh*tty old routine in the trash along with your $25 My-First-Protein-Powder bucket and pathetic weightlifting gloves. You’re playing with the big boys now, time to act like one p*ssy. All you gotta do is behind the best abbreviation to ever appear since U. S. and A. And as it’s your sole duty to this country to get ridiculously Judy Dench, there’s no time to hang around. Bro-down Preview: What the PPL? When we’re done here you’ll have all the tools you need to become a PPL pro. What is a PPL split? Good question, bro. In typical SpotMeBro fashion, we’ve just been throwing abbreviations around like a stack of dollar bills at a strip show in our local supplement store. Seriously, even your most meatheaded dumb*ss gym buddy could understand that. If not then maybe consider finding some new friends that aren’t actual zombies. Anyways, the simplicity of PPL splitting is what makes it so convenient. Essentially you hit one push workout, followed by a pull workout, and then eventually a leg-tastic finisher. No longer are you banking on building slabs of lean beef with a bro-split. Now you’re focusing on directional specific movements. For example, Monday will no longer be International Chest Day. Sorry, not sorry, dude. From now on it’s Universal Push Like a Muthaf*cker Monday. Which, if we’re being honest, sounds pretty savage. Also, because we’re not targeting specific areas, we naturally utilize more compound exercises. Consequently, this makes PPL splits highly effective at hitting various muscle groups. Guys who love efficiency, take note. By utilizing compound exercises we can work greater amounts of muscles in a shorter time frame. Plus big compound movements are sick AF for hypertrophy and strength. Therefore, because of what we’ve just mentioned, there’s a lot of crossover training happening in one workout. Overlapping muscles are often called to action in the same workout. Meaning you don’t have to deal with “sore” areas impacting others on a different day. Because pushing and pulling typically use opposing muscles, you can rest one set whilst blasting the others. For example, on Monday you can destroy the tris during a set of heavy skull crushers, and then rest them slightly when hitting cable curls on Tuesday. 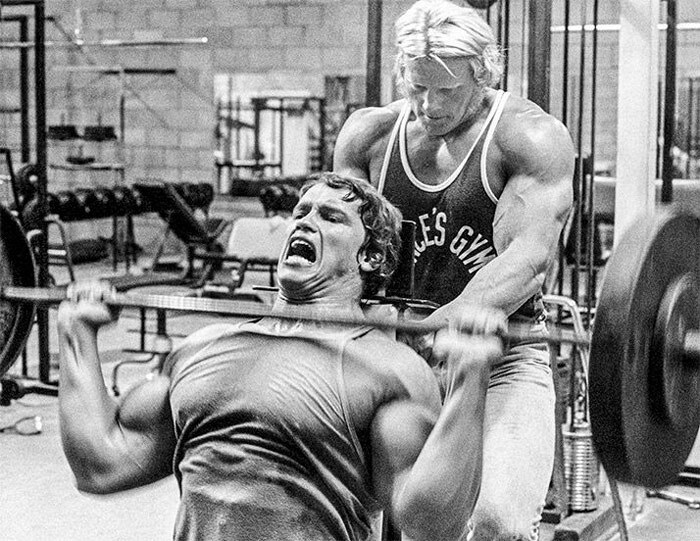 One of PPL’s best features is that it goes hand in hand with supporting progressive overload. By hitting above average amounts of compound movements it’s easier to safely implement heavier weights. As there are more muscles involved, load stability is significantly increased. We need to progressively overload to make gains so it’s a perfect match! And we all know PO is essential if we’re going to build muscle, don’t we? So the more we can safely step up those numbers the better. Damn, we’re in the mood to lift just thinking about this sh*t. Someone pass six scoops of pre workout. So now you understand the concept it’s time to put it into practice. What you will need to do first is create an overarching plan. Within this master plan will be subsections dedicated to each day. At an absolute minimum you’ll need a push workout, pull workout, and leg workout. But that doesn’t mean you have to just restrict yourself to these three days. As you become more experienced with PPL you might find you prefer fortnight-long attacks. The best thing to do is get in the mix and feel for yourself how your body reacts to different stimuli. Due to the flexibility and simplicity of PPL splitting, this should be easy. Let’s face it. We can’t all train multiple times every day like professional athletes. You could have the most intricate training plan ever conjured up by fifty Soviet scientists that’s guaranteed to triple your deadlift in a week. Yet, if you can’t actually do it to the dot, it’s useless! Don’t be fooled that complicated = better. Here’s another abbreviation we love at SpotMeBro – K.I.S.S. Nah, it’s not talking about the last thing your significant others receive (biceps) right before you go to sleep. More like Keep It Simple Stupid. If you’re wanting to optimize your muscle size development aim for 4-6 workouts per week. For many bros, four is easily doable, so if you’re a relative newbie maybe start here. But the six-day styling should be approached with caution. Seriously, we’re not kidding just for dramatic effect. It’s simple science. If you’re not accustomed to training like a f*cking beast, you might start to find things too tough to handle. But if you’re feeling up to it then go in all guns blazing. Just make sure not to overstay your welcome and accidentally check into overtraining territory. For the warning signs and how to stay safely out of this gain-wrecking phase read this. 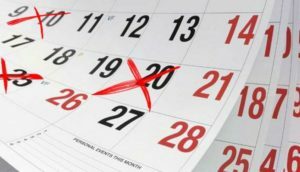 Regardless of your approach always, and we mean always, throw in one rest day per week. If you’re going to successfully stack up like a savage ape your body needs to recover. It’s during this time that we rebuild, re-energize, and refocus. So don’t worry too much about rest “time”. Just try not to be a p*ssy because you’re a little sore. But if performance is diminishing and motivation disappears, take a day or two off. Get your body and mind straight then hit that sh*t hard. Now we all know why we’re in this game. To rear deadly venomous pythons, build Yosemite like boulder shoulders, and forge railroad worth wheels of absolute steel. Hypertrophy is what we’re shooting for. And we’re not scared to load and unleash both barrels if it means getting the results we want. Simply put, we want to become bigger than your average human. Hell some of us want to block out the sun completely. If you asked a scientist they’d say we are working to increase lean mass and the cross-sectional area of certain muscles. Therefore, we must train towards our select goals using proven muscle building methods. More specifically, Mechanical Loading and Tension, and Metabolic Stress. Mechanical Loading and Tension relies on applying tension through the muscle. By loading it with heavier weights and tackling challenging rep ranges, we damage the integrity of the muscle fibers. Then, if proper recovery is in place, the fibers adapt as intended. They return thicker and stronger than before, increasing the overall size of the muscle. An easy way of looking at is to imagine two identical broskis are about to hit a set of hammer curls. One guy is going to hit the exercise for 5, whilst the other puts 10 away. Mr. 10 reps will have experienced more mechanical loading and tension, therefore stimulating more mass. Metabolic Stress concentrates on achieving cellular swelling and bagging the by-products that come with it. By lifting loads and exercising a muscle we decrease its respective oxygen level. Studies show that what comes next is a massive increase in blood acidity. Oh, and a decent dose of muscle damage. We’ve all felt that burn and starred amorously at our throbbing pumped pythons. Some sick b*stards even love it, we definitely do! As a reaction to the stress it has been subjected to, our body then releases awesome growth factor hormones and chemicals. These are the golden ticket for triggering muscle growth. 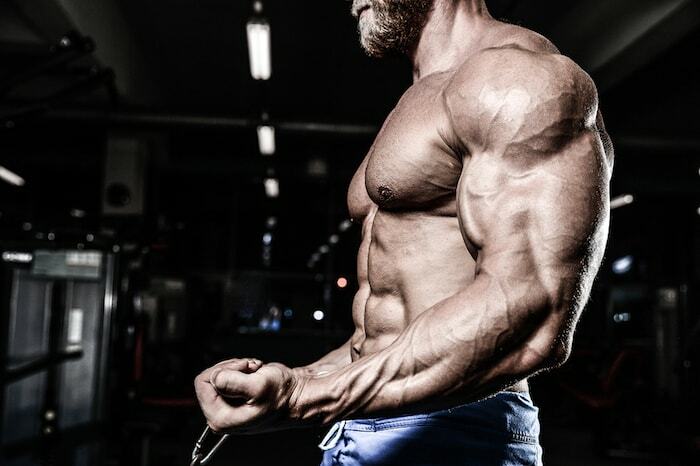 For a more in-depth scientific breakdown of muscle hypertrophy, check out this article. 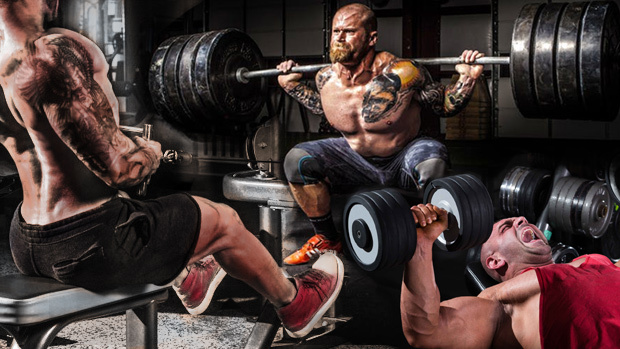 Studies suggest that intensity should be kept at moderate for hypertrophy focused training. So, try to keep sh*t between 67-85% of your 1RM and you’re good. Bro, you can still get swole smashing out 5×5 in your chalked up Chuck Taylors. We’re just giving you the facts on how to get to your goal size the quickest. Reps should ideally be hovering between 6-12. Any lower than 6 and you’re pushing strength training territory. Well, either that or being a wet-blanket excuse of a man. Gunning for 12+ is also better reserved for elsewhere. This rep range is more suited for muscular endurance training. If you think you’ve got this amount of repetitions left in you then you need to increase the load. Your last rep should be a struggle at the least. Be smart and remember all your training on progressive overload. If a muscle is to grow it must adapt to a challenging stimulus. And unless you’re somewhere like solitary confinement or a desert, your best bet is to add numbers to that bar. Don’t be a p*ssy! As for sets, the guidelines state 3-6 to be best for size development. PPL split is a system where workouts are broken down to focus on either; pushing, pulling, or leg based movements. Rather than employing a traditional bodybuilding split, PPL users categorize exercises in this way. Therefore, their workouts will probably hit many different body parts. Consequently, adopting the PPL philosophy can really make for some flexible training. Special attention can be made to multiple areas at once, without necessarily impacting tomorrows workout. This style of training is highly effective and time efficient. It allows compound movements to be easily implemented into any training session. Meaning larger muscle groups can be worked in shorter time periods. For hypertrophic effects, guidelines should be utilized to achieve optimal results. Reps should range between 6-12, with sets lasting around 3-6. Remember the key to success in building size is volume – so bite down and feel the burn, bro! Embrace the superior muscle pumping power of the Push-Pull-Legs split.